Guy graduated from Central St Martin’s School of Art in 2011, but discovered his passion for the traditional etching process while studying at the École nationale supérieure des beaux-arts in Paris in 2010. 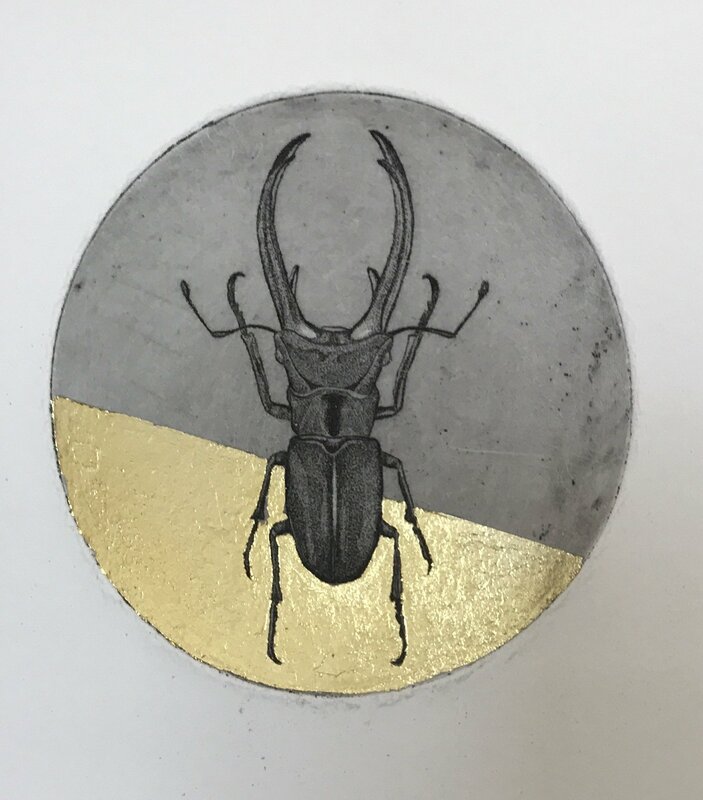 In 2012 Guy trained as an assistant print maker at the highly respected Curwen Studios, Cambridge, under Mary Dalton and Stanley Jones, where he mastered other types of printmaking. Today Guy works as a full-time artist in his Peckham studio and prints at respected Artichoke Printmaking Studios, accompanied by trusty wire-haired dachshund, Loaf. 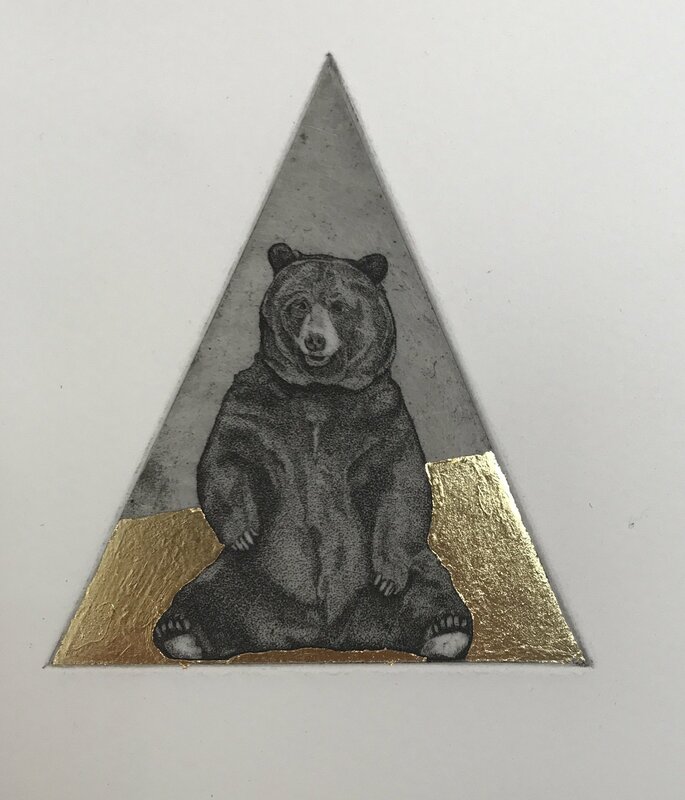 To create his pieces, Guy marries the traditional technique of etching with a timeless subject matter and print making processes for a more contemporary twist. 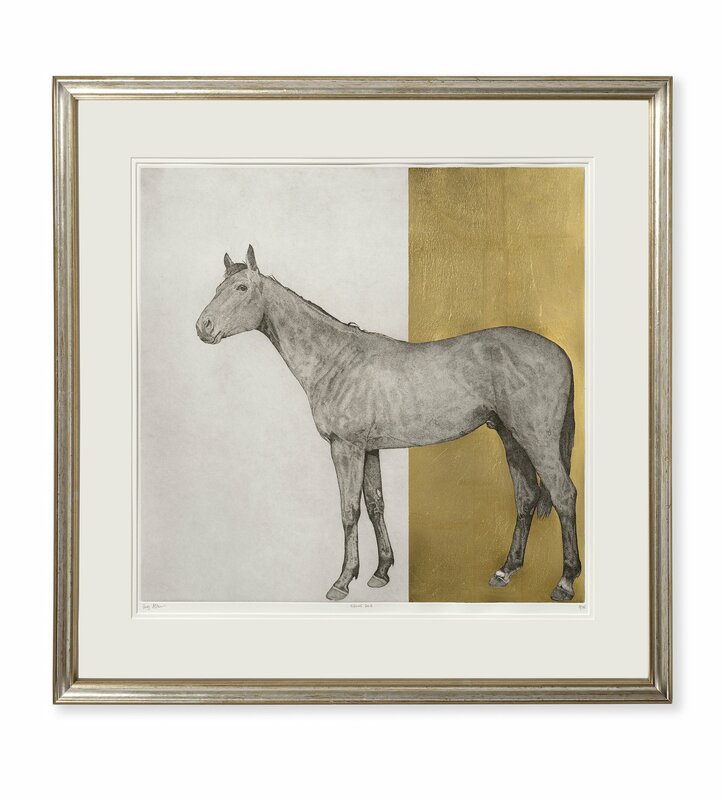 The stages involved in creating these original prints include etching, aquatint, screen print and lithography. 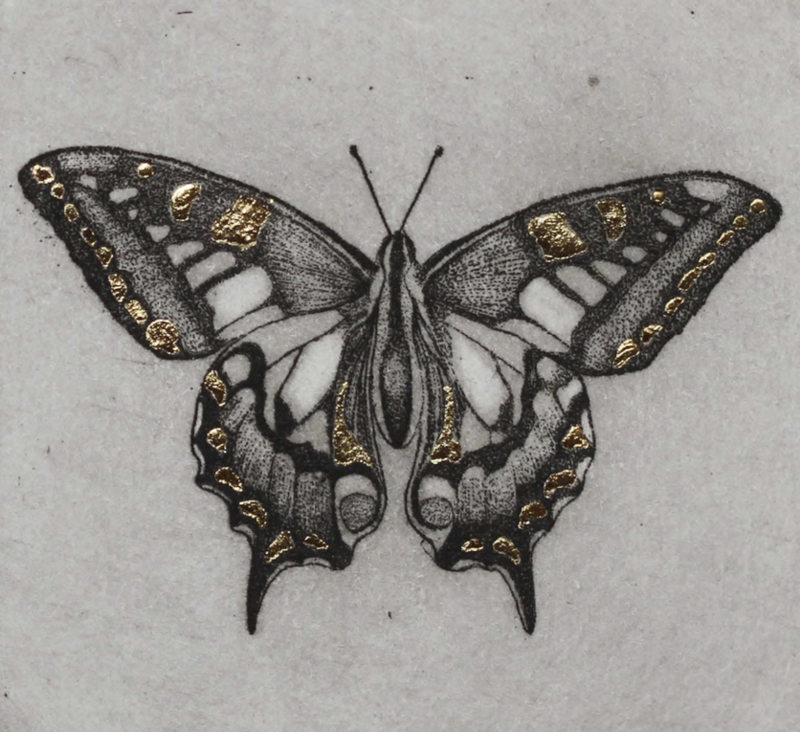 Guy has adopted a unique approach to etching by using a stippling effect on the plate, a labour-intensive pointillist technique which gives the images a detailed finish and highlights his skill in freeform drawing and etching.